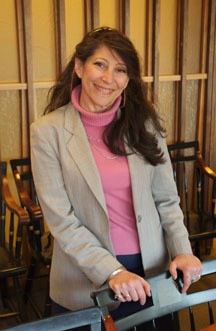 Irene M. Pepperberg is an associate research professor at Brandeis University in Massachusetts and teaches animal cognition at Harvard University. She is head of the Alex Foundation and author of The Alex Studies: Cognitive and Communicative Abilities of Grey Parrots. Don’t miss the website for the Alex Foundation! “You be good. I love you,” were Alex’s final words to his owner, research scientist Irene Pepperberg, before his premature death at age thirty-one on September 6, 2007. An African Grey parrot, Alex had a brain the size of a shelled walnut, yet he could add, sound out words, understand concepts like bigger, smaller, more, fewer, and none, and he disproved the widely accepted idea that birds possess no potential for language or anything remotely comparable to human intelligence. 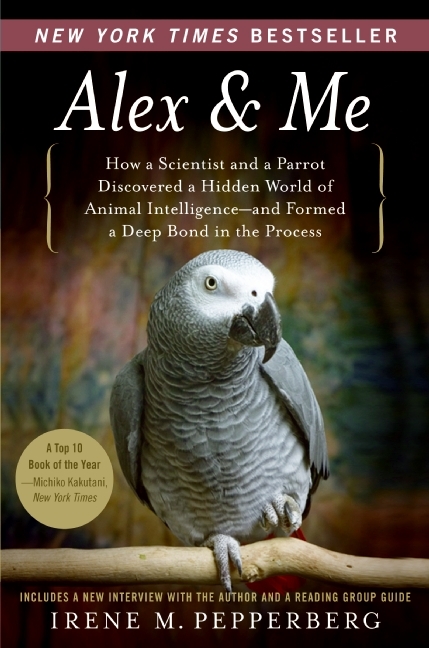 Alex & Me is the remarkable true account of an amazing, irascible parrot and his best friend who stayed together through thick and thin for thirty years—the astonishing, moving, and unforgettable story of a landmark scientific achievement and a beautiful relationship. Monday, November 23rd: Book Club Classics!